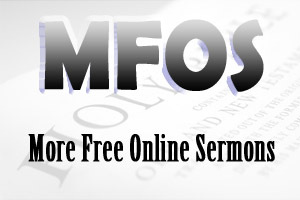 Sermons From Romans are a collection of sermons from the book of Romans in the Bible. 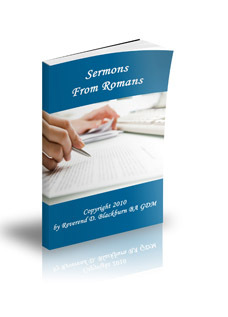 Sermons From Romans are provided to help you prepare sermons for your congregation. The following collection of sermons from Romans provide a brief outline of the sermon with some content so that you can get an overview of the passage of Scripture. Sometimes reading other sermons will give you ideas for developing your sermon for your congregation. The church talks about evangelism. The church has seminars about evangelism. But the million dollar questions is: does the church or individuals in the church actually do evangelism? Bill Hybels, in one of his books, noted that many people believe in evangelism but very few people actually do evangelism. Of course, it is never easy sharing Jesus with others. In fact, most people struggle in this area of evangelism. Nevertheless, the Bible makes it clear that evangelism is the responsibility of the whole church. For more on this sermon, click on Sermons From Romans 1. I have heard it said that people with no ear for music say that it all sounds the same. Now, I can relate to that! I do not have a musical bone in my body. However, people who love and understand music know better. In a similar way, people who lack spiritual understanding often promote the statement that all religions are really the same. Is this true? Are all religions the same? Do all religions lead to the same God? Some people would say yes, but others would sharply disagree. For more on this sermon, click on Sermons From Romans 2. There are some gifts that are very special and that gift can be life-changing. A young girl received the gift of a kidney and pancreas. This gift gave her another chance at life. This young girl understood the enormity of the gift and cost to the donor and his family. But now she was enjoying a quality of life that she had not experienced for a long time. The gift of God, which is eternal life through Jesus Christ, is a very special gift - a gift that is life-changing. For more on this sermon, click on Sermons From Romans 5. Generally speaking, in a court room a person is considered innocent until proven guilty. However, in God's courtroom we are declared guilty before we even enter the room. "For all have sinned and fall short of the glory of God" (Romans 3:23). Now this may seem harsh to you. However, the wonderful thing about God's courtroom is that when we admit our guilt, we are offered mercy. Yes, God's justice condemns us, but His mercy redeems us. We gain forgiveness and a pardon from our sin in the person of Jesus Christ. For more on this sermon, click on Sermons From Romans 8. A young man with a pitiful background and a horror story for his up-bringing kills a person in cold blood. This young man was sentenced to death for his crimes. A staff member, who was a Christian, had an opportunity to meet this young man. Moreover, this staff member decided to show love and kindness to this cold-blooded murder. In time, this young man became a Christian and found God's forgiveness for his crime and he sought forgiveness of those he wronged. Just before his execution, this young man realised for the very first time that someone cared about him. This staff member knew what it meant to service the debt of love. It made a tremendous difference to the short life of a cold-blooded murder. For more on this sermon, click on Sermons From Romans 13.